Sensorsoft Device Server (SDS) is software that can make serial devices (COM ports) accessible on a TCP network. 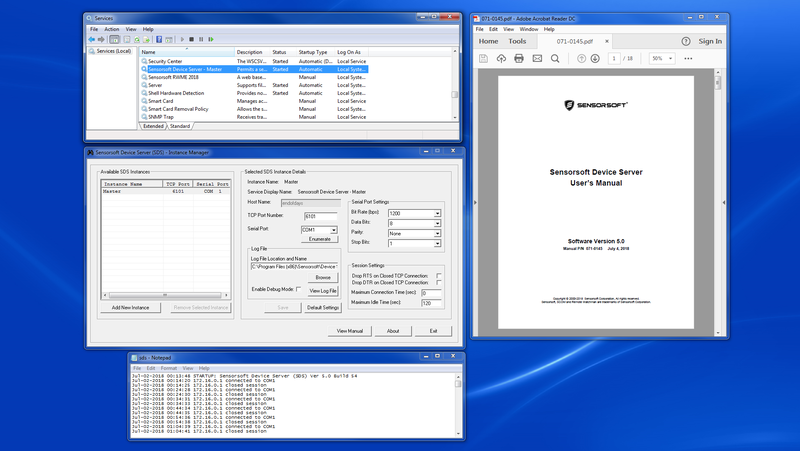 With SDS you can transform a Windows machine into a multi-port terminal/console/device server. SDS Setup gives an option to install a driver for USB to serial adapters based on Prolific chip. Hard disk space: 0.5 MB minimum for product installables. Recommend 10-100 MB free space for log files. * All images are copyrighted materials.